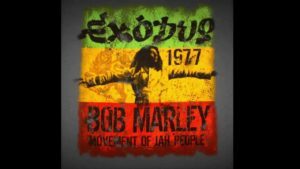 You know, the Bob Marley song and all that? The Title is called All Change! 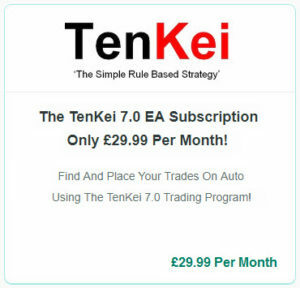 because I have found a few things I am not to keen or happy about in relation to how the TenKei 7.0 EA works in conjunction with FXCM. Since we are looking to Trade With The Trend, the DAX on FXCM does not start until 07:00 (to which I thought was really good, as that time suits me well, being here in the UK (at the moment)) but in actual fact, the DAX is Traded After Hours, or Overnight, or for nigh on 24Hours A Day! This means, when the DAX Opens on FXCM, it GAPS in order to catch up with the overnight moves, or even the moves that have been occurring in the wee hours of the morning i.e from 04:00 GMT for example. If the DAX has been Trading since 04:00 or even from the following day without any stoppage time, the Trending Pattern is going to be quite different as compared to the DAX suddenly starting a 07:00 GMT! So, this is where we can or will end up with a GAP Up or GAP Down, which will not reflect the True Trend of the market! It had always been on my mind but since I saw the EA’s telling me we were in an Uptrend, I could see the DAX moving down, as in a Downtrend! This did not make sense and I was going nuts as I thought whoever was in a Trade today would be getting beaten up or Whipsawed, when in fact the DAX was not even truly Whipsawing! The Trend as we saw it was down! I say saw as I decided not to Trade today because I had an appointment to have a Wisdom Tooth extracted, at my request! Whilst Preparing For My Dental Appointment! When I looked at another Broker who Trades the DAX After Hours, or Overnight, or for nigh on 24Hours A Day, I could see the EA’s telling me it was in a Downtrend! But the FXCM EA’s were telling me it was in an Uptrend!!! If we had been using that overnight Broker, the EA would have been following the correct Trend as produced from before 07:00 GMT. 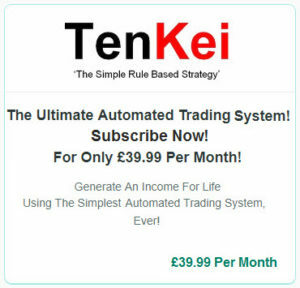 After all of my work with FXCM, which has been going very well, I am now going to have to bite the bullet and Change! Change is not easy but it’s also not impossible, in fact, it’s ridiculous to think Change is impossible but it is often a great inconvenience and a pain in the neck! So, if we are to continue using the DAX, we will have to either change Brokers or Trade from later in the day, such as 08:00 GMT or 09:00 GMT when the movement of FXCM would have caught up with the True overnight moves. Also, we are looking into the FOREX, so in that vein, we could still use FXCM. We could aslo continue using FXCM if we Trade the DOW, as that is Traded overnight. The way the EA works, is it likes continuity but such is life, right? I sent out an email to all of the Subscribers asking who they thought would be a good Broker to use and so far we have GKFX in first place! We shall continue to wait for more recommendations and then make a decision as to who we shall use on a regular basis. For now, I shall set up with LCG because I know them from the past and I’ll also study how it works via MT4, to ensure we will continue hitting Targets. 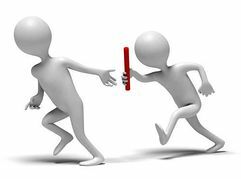 Oh yes, what we need is a Broker that Trades the DAX and who also has a Low Spread and who also keeps the DAX open overnight, or for nigh on 24Hours A Day, so by the time 07:00 GMT rolls around, the Trend it is in will be True! 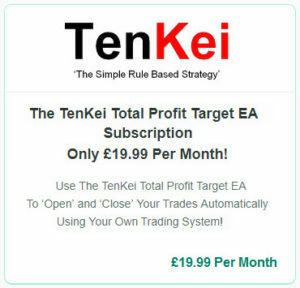 If the Trend is True, the TenKei 7.0 EA will generate Points Profit for us!